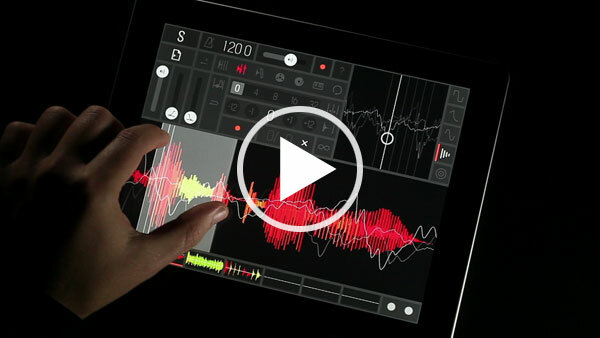 Samplr for iPad · Make music and play with sound by touching it with your fingers. Make music and play with sound by touching it with your fingers. Watch how to play it. 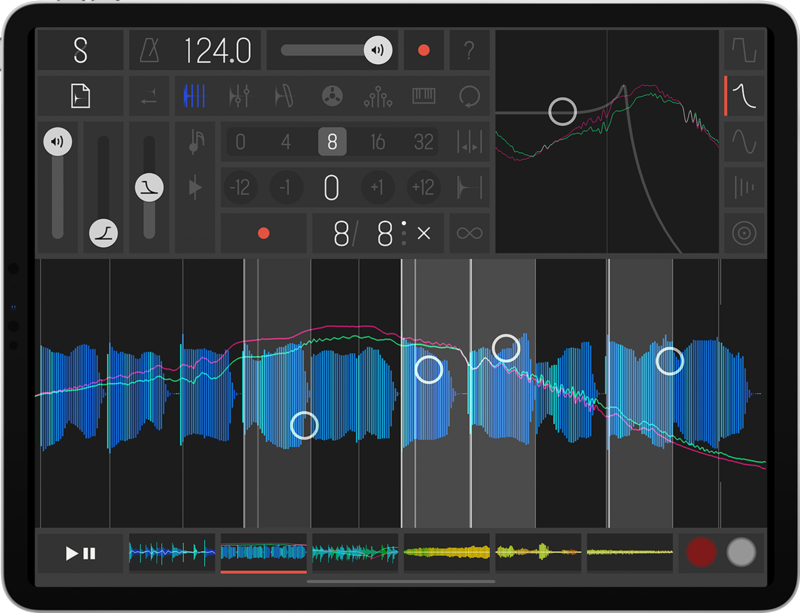 Samplr lets you make music and play with sound in a new and intuitive way by touching the waveform on the screen directly with your fingers. Explore the sounds melody and texture using the different play modes and create your music compositions with the gesture recorder. 5 sound effects, 6 simultaneous samples (with 8 voices each) and 8 different ways to interact with the sound. All modes are Multi-Touch ready. Slicer mode: Tap on a sample slice to play it. Looper mode: Loop fragments of the sample using two fingers. Bow mode: Loop a small fragment of the sample around your fingers. Tape & Scratch mode: Horizontal position of the finger controls the sample playback speed. Arpeggiator mode: Automatically sequence sample fragments. Keyboard mode: Play the sample like a keyboard instrument. 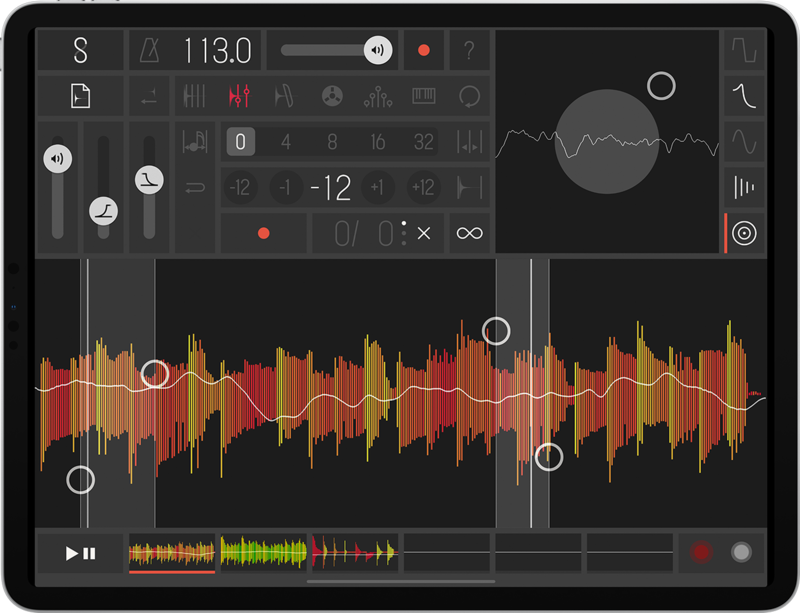 Loop Player mode: Loop the sample with the project tempo. A new kind of instrument. With an interface designed for live performance, Samplr gives the musician quick and precise access to all the instrument functionality at any time. Unlike other apps that try to recreate real life instruments or interaction concepts from traditional computers Samplr was designed for Multi-Touch devices from the very beginning.